Hotel currently under renovations until end of fall 2007. 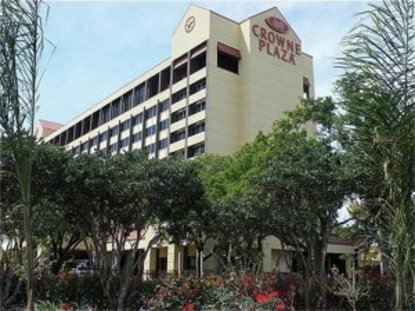 The Houston Grand Plaza Hotel is the city's premier full service hotel. The hotel is located in the Medical Center area of Houston and is literally across the street from the entrance to the Reliant Park (home to the Reliant Center and Reliant Astrodome and Reliant Arena). The Houston Grand Plaza is ideally situated at the corner of Loop 610 and Kirby Drive, thus allowing for easy access to and from anywhere in Houston. We have more than 52,000 square feet of meeting space available, the centerpiece of which is our 17,400 square foot Sam Houston Ballroom. We can host everything from conferences, corporate meetings to the most elegant social events and wedding receptions. Our meeting rooms offer the flexibility to accommodate groups as small as 20 people to as large as 2,300 people.